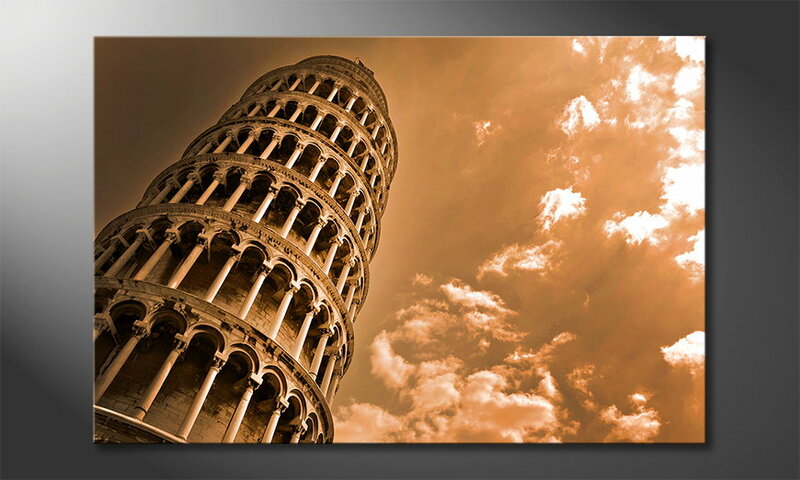 Canvas print "Leaning Tower" is an art print. It consists of 1 panel with a overall dimension of 120x80x2cm (without spaces). Beige is one of the main colours of this picture. The picture is printed on thick, professional artist canvas. The printing paint is of highest quality and is sealed to protect the picture from dust or UV radiation. The canvas is stretched on a 3/4 inch wooden frame. The picture is ready to hang. Das Bild ist einfach total schön! Es macht sich super bei uns!